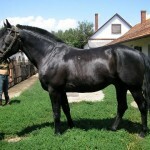 The Nonius horse, named after its foundation sire that was of Anglo-Norman origin was developed in Hungary at the Imperial Stud, Mezohegyes through the process of careful line breeding. 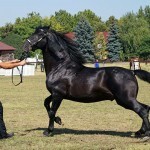 Initially bred to serve as a utility and light horse for the Hungarian military service, this breed was wholly used for agricultural purpose in the 20th century. 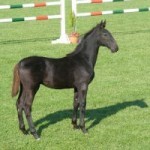 They are one of the heaviest warm-blooded equine breeds, also easy to maintain. Temperament and Personality Kind, even-tempered, gentle, shows great willingness. 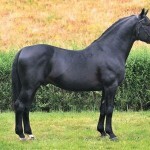 A stallion by the name of Nonius Senior, born in the year 1810, in a stud farm of Calvados, at Normandy, France, was responsible for the foundation of this breed. 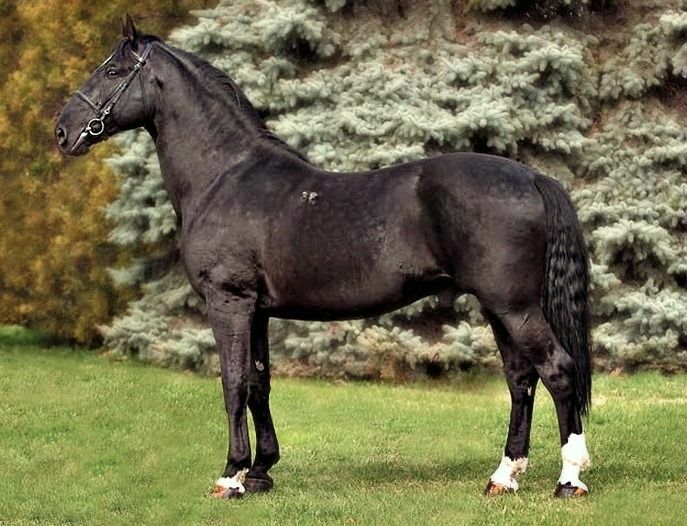 Being captured from the Rosieres-aux-Salines, a stud farm in France, he was brought to the Mezohegyes stud along with nine other stallions, in 1816. 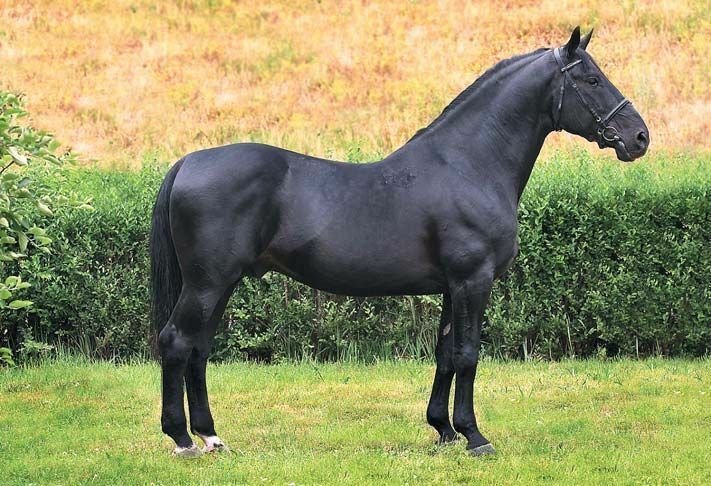 There have been confusions regarding the breeding of Nonius Senior though his sire is said to be a thoroughbred named Orion while his dam was an Anglo-Norman mare. After attaining maturity, Nonius Senior reached a height of 16.3 hands, being light bay in color, with a large, heavy head, small eyes, long ears, short neck, long back, low-set tail and a short, steep shoulder blade. As he did not have an impressive appearance at all, he was hardly used in the breeding process at the Mezohegyes stud farm. Nonius began gaining recognition after it was noticed that his offsprings were well-built and high in endurance, a trait quite different from him. 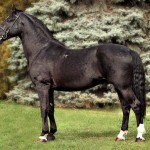 In fact, after this, he began to be mated with the good looking daughters of the Spanish-Neapolitan stallions. 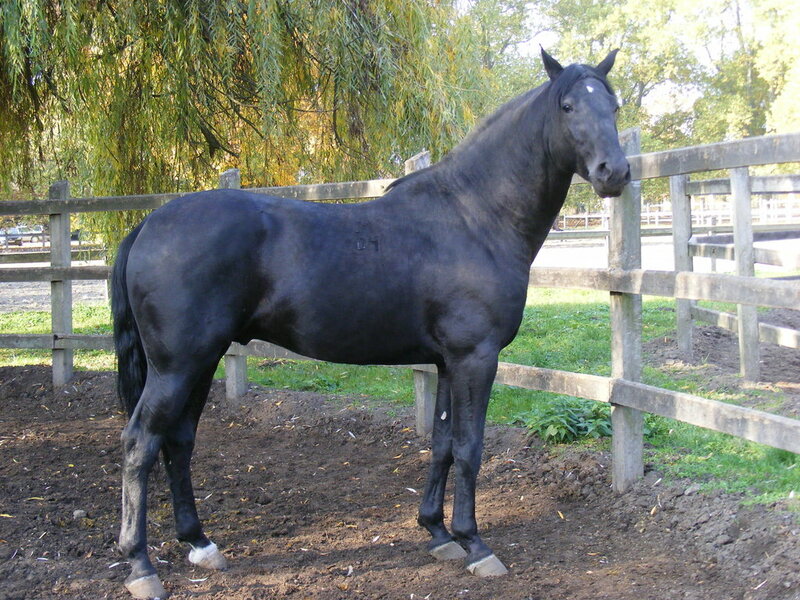 With proper line breeding, the development of the Nonius breed began, emerging as a heavy but elegant horse used for carting and military driving. 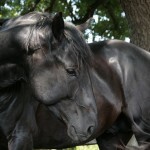 After his death in the year 1838, his children, comprising of 79 stallions and 122 mares were left to keep his ancestry. Its female descendants were bred with Thoroughbred and Arabian stallions to correct the balance and elegance that the Nonius horses lacked. Their popularity suffered a major setback because of the political and social concerns arising in the 19th century. 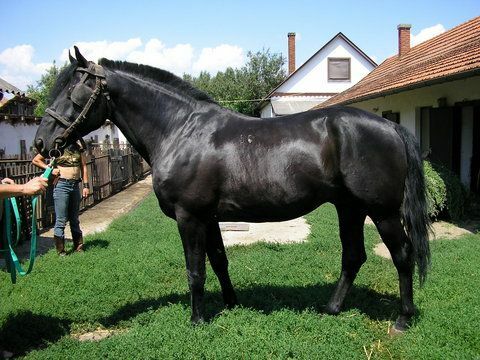 The Mezohegyes stud continued keeping a majority of these horses, while another stud located at Debrecen, in Hungary, began developing this breed in their way from 1948. This kind was heavier than most of the Nonius of Mezohegyes and was recognized by the name of Hortobagyi Nonius or Hortobagyi Landrace. Both these sub-types were finally unified to form a single breed in the year 1961. Because of the technological advancement which occurred during the Second World War, these horses lost their importance in the military field, beginning to be used for agricultural purpose. In between the years 1947 and 1961, most of them were slaughtered for meat as the Communist mentality of Hungary did not support the idea of using horses for riding. 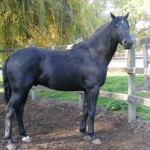 There were attempts in developing sports horses from the Nonius breed but not much success was attained in this regard. However, they began excelling in combined driving that was a popular sport during the 70s. 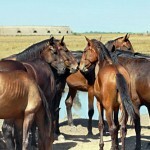 The Nonius Horse Breeders National Association had been formed in 1989 for protecting the purebred Nonius. 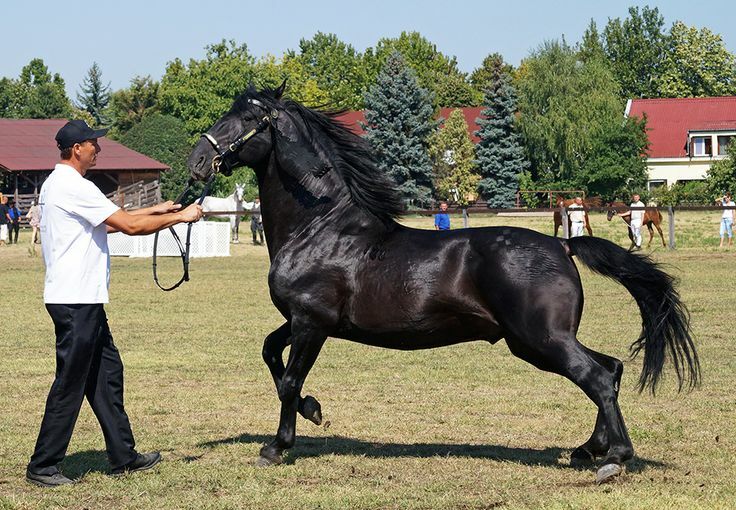 At present, there are about 450 mares as well as 80 Nonius stallions, with the majority of them existing in the Mezohegyes stud farms, while a significant number can even be found in Bulgaria, Romania and Vojvodina (a Serbian province). 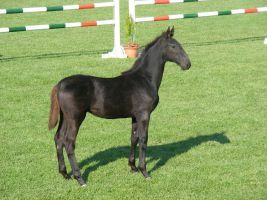 Apart from being crossed with Thoroughbreds for developing horses possessing an improved jumping ability, they have even been bred with the Furioso-North Star, another Hungarian horse as well as the Shagya Arabian. 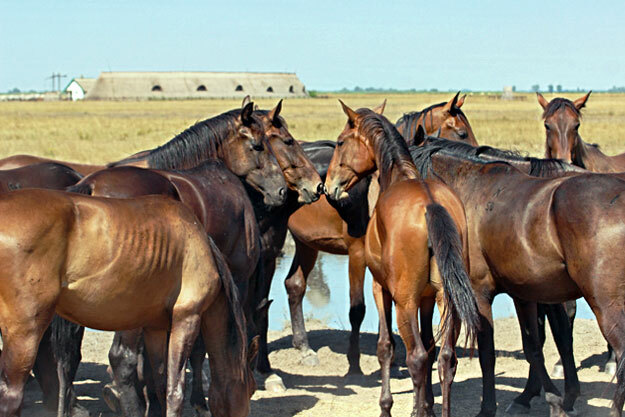 The Hortobagy National Park, located in eastern Hungary was included in the World Heritage List by the UNESCO in the year 1999, for livestock breeding which included the Mangalista pig and the Nonius horse. 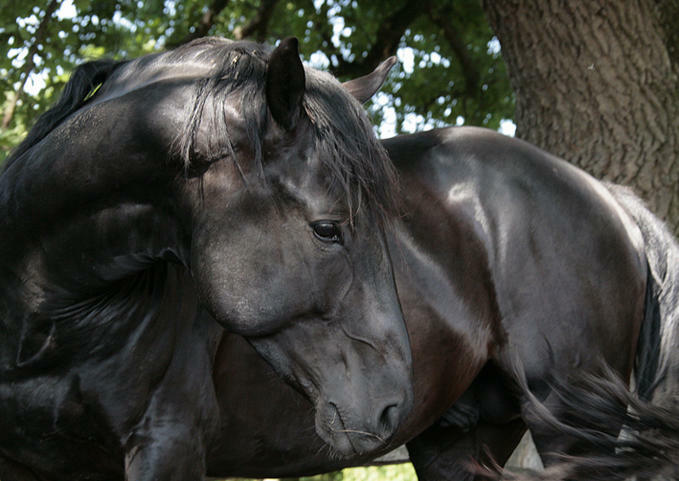 This breed was awarded the title of “Ideal Horse” in 1900 at the world fair held in Paris by the name of Exposition Universelle for its high utility and sober appearance. A Nonius horse of the Mezohegyes stud won the bronze medal at the FEI World Driving Championships that was held for young horses in the Mezohegyes state of Hungary in September last year.